I love my Celestial Green Tea it is definitely a great afternoon pick me up! 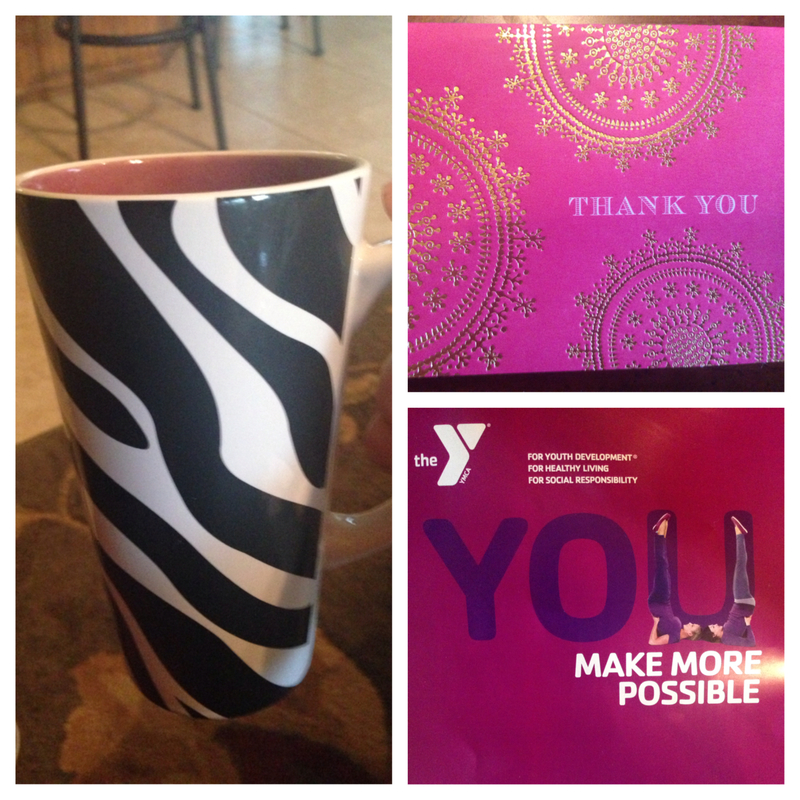 Can’t help but love my animal print mug! I also got to attend a fabulous YMCA breakfast event called the “Chairs Roundtable Breakfast” on behalf of the Westside YMCA. My husband is on the board but I love getting to support such a wonderful cause in our community! They have some BIG things happening! Plus, the breakfast was AMAZING! The other item I love and that makes me happy are thank you notes! I love giving and receiving them! I was just talking to my MIL (shout out to Bard she reads this :)) about how many people do not write these and how it makes us so angry sometimes! People don’t even acknowledge gifts these days! I try to take the time to quickly write them whether I receive a gift, go to a dinner or just want to send a quick thanks for a good deed! So many people who surround me go above and beyond what is expected and I want them to know I appreciate it. I will get off my soap box now!